Despite a long April month of almost constant rain, I am enjoying this part of the coast. One great thing is walking the long flat beaches finding agates and fossilized shells. 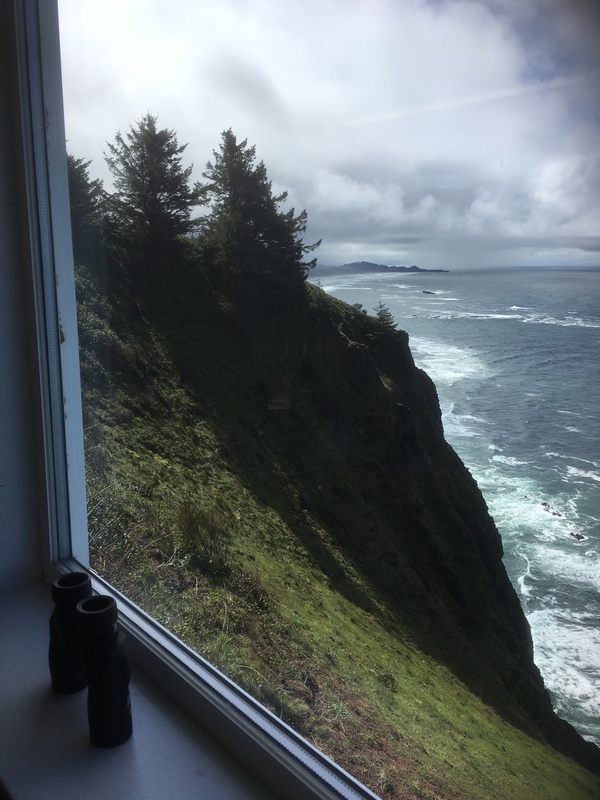 Volunteering at Cape Foulweather Gift Shop & Whale Watch Lookout, I gained knowledge about whales and other sea creatures, met wonderful people from all over the world and enjoyed an enchanted view from my cliffside perch 500 feet above the ocean. I even got to see a mama whale and her calf swimming out from the cove where they had surfaced. Today I went for my weekly swim at the indoor Newport Aquatic Center. One of the finest aquatic centers I have ever enjoyed, complete with a lap pool, activity pool and spa. My best find was the Surf Town Coffee Company down on the bay. Their organic Italian Roast coffee is delicious and hearty.